This latest installment of the In Death series takes an unusual twist. Someone is killing people who had run-ins with Lt. Eve Dallas, and the killer is leaving notes to Eve at the crime scenes. Not even Dr. Mira can predict when or whom the killer will strike next, but she’s certain he will eventually turn from destroying Eve’s foes to eliminating her inner circle so as to supplant them. The uncertainty and the killer’s escalation keep the tension high. The danger is leavened with humor, though, as Eve and Peabody investigate leads. Mira has gone through Eve’s fan mail and pulled possible candidates’ letters. 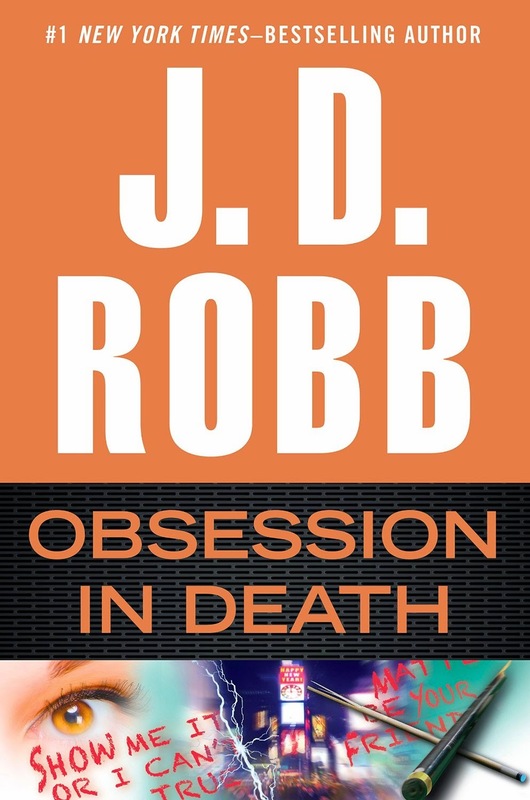 Robb uses the two detectives’ visits to the authors to set Eve’s businesslike persona against the gushy enthusiasm of some of her fans. The story gives the detectives under Eve’s command a chance to shine, showcasing the solidarity that was such a key part of Treachery in Death. Each of Eve’s close friends gets a moment in the spotlight, and the way Eve and Roarke deal with the threat fits with the evolution of their relationship in the past several books. The tension escalates, and the stakes rise to a nail-biting climax. The resolution that follows is satisfying and appropriate. This is a top-notch entry in the series. Thank you for your review. I love the In Death series. I can't wait to read this one. Carol, I'm glad you enjoyed it. I obviously love this series, too, and I think you'll like this latest installment. I've started collecting some of these but have not read any as yet (I do enjoy her other books). My problem is that there are so many of them and I get the idea that they should be read in order? Catslady, each book stands alone. The benefit to reading in order is that there is an arc with Eve's development and her relationship with Roarke that's clearer if the books are read in order. But I wouldn't say that's essential. Just finished reading Obsession in Death this afternoon. I've read the whole series over the last year - now I have to wait for each new installment with every one else (sigh). Di, isn't that frustrating?! I blitzed through this series when I discovered it and then got fidgety waiting for new books. Catslady, I haven't read them but a friend has read all of them and says you'll enjoy them much more if read in order. Deerdoe, I've heard the audiobooks are good. Do you have a favorite? Sorry for the late replies, everyone. I could not get blogger and my computer to interface. Thanks for the comments!